Earn up to 6,976 reward points. Excellent sound production and elegant design for more expressive playing. 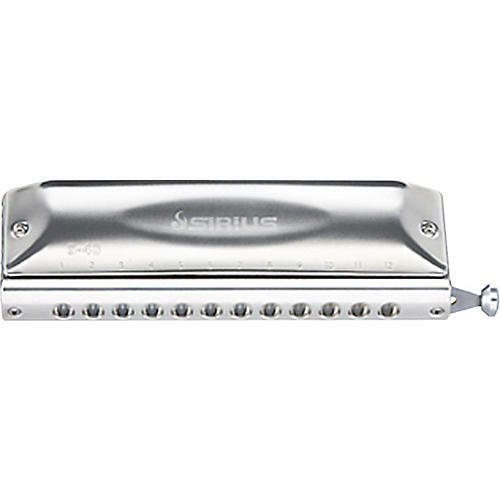 The Suzuki S-48S Sirius 48-hole chromatic combines excellent sound production and elegant design which will impress both audience and players alike. Suzuki have used their vast experience and knowhow to create the Fabulous series, which in turn lead to the creation of the Sirius. Every detail about the design of the Sirius has been carefully researched, resulting in a new standard of Chromatic Harmonica. This unique model allows the player to perform a wider range of playing expressions. To meet the players demands for slide accuracy and speed, Suzuki designed an all-new straight-alignment slide and mouthpiece. The straight-alignment slide, with its short push stroke, gives a fast sliding action and warm tone, making it perfect for jazz. Call or click now to order the Sirius chromatic.